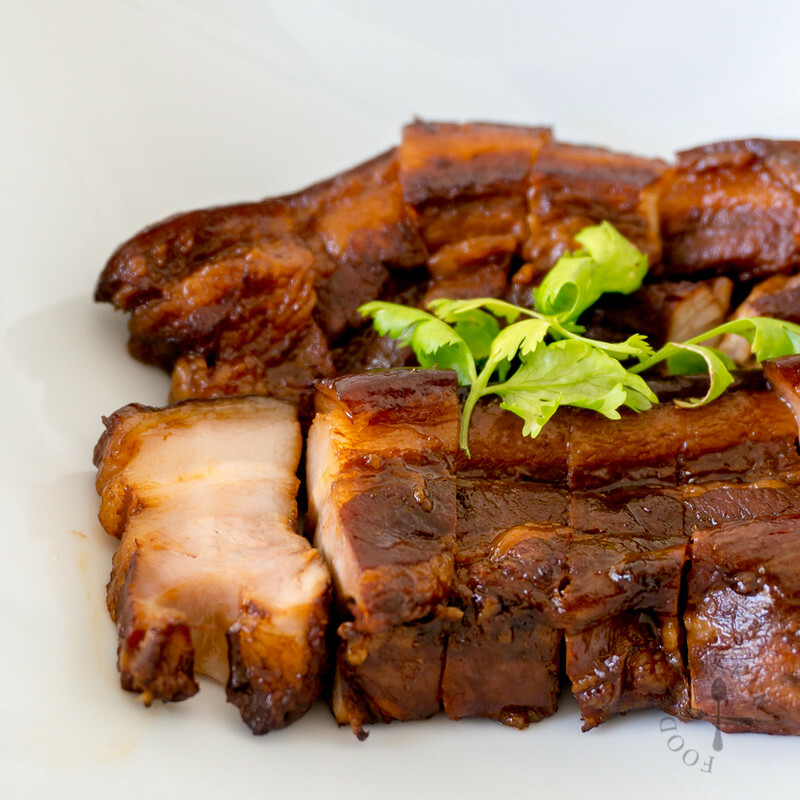 One of the dishes that I crave most after moving here is my mom’s braised pork belly (aka tau yu bak). Her fuss-free and ridiculously simple recipe is made with only 5 ingredients! Braised for 2 to 2 1/2 hours on the stove, the fats are melt-in-the-mouth (my absolute favourite part), the meat is so tender and the sauce is soo good to go with a bowl of piping hot white rice. I’ve never made this dish myself in Singapore before, so when I made it here for the first time, I tried to kay kiang (pretend to be clever; be a smart-aleck) and agak (guess, estimate) the ingredients without consulting my mom. 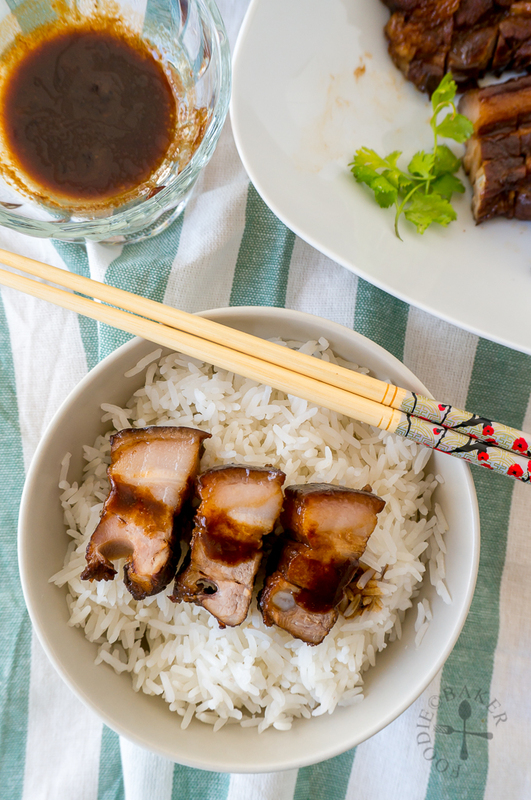 I used a whooping 1/4-cup of dark soy sauce and during the whole braising process, the whole house was “perfumed” with the smell of soy sauce – even X could smell it the moment he stepped out of the lift (the door wasn’t even opened!) Needless to say, we needed a lot more rice to finish the pork as it was way too salty. After much digging, we settled for 1 to 2 tablespoons of dark soy sauce for a batch of braised pork. Since the phone call, I’ve cooked the braised pork twice and found that 1 tablespoon of dark soy sauce is sufficient for making a batch for 2 people and it makes the sauce less salty. Usually my mom’s sauce is quite salty so I can only drizzle it sparingly on the rice. I also like to braise it a little longer as I love fats that melt in the mouth. But don’t braise it for too long as the meat will be too soft and break apart. The best way to test is to cut a piece after 2 hours of braising and taste it – if it’s not soft enough to your liking, braise it a little longer. 1) Pan-fry garlic in a little oil. 2) Add in pork belly. 3) Sear pork belly until lightly golden. 4) Add in dark soy sauce. 5) Add enough water to just cover the pork belly. 6) Bring to a boil then simmer for 2 hours (up to 2.5 hours if desired). 7) It's done when the pork is soft and the sauce has reduced into a thick consistency. 8) Slice the pork belly and serve! 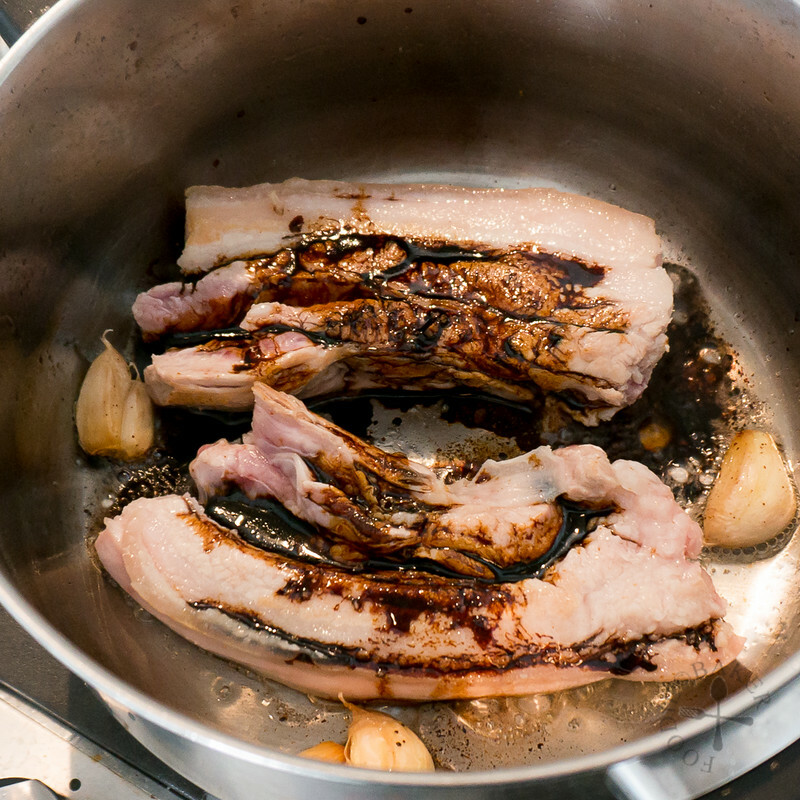 Rinse your pork belly and use a tweezer to remove any hair on the skin. 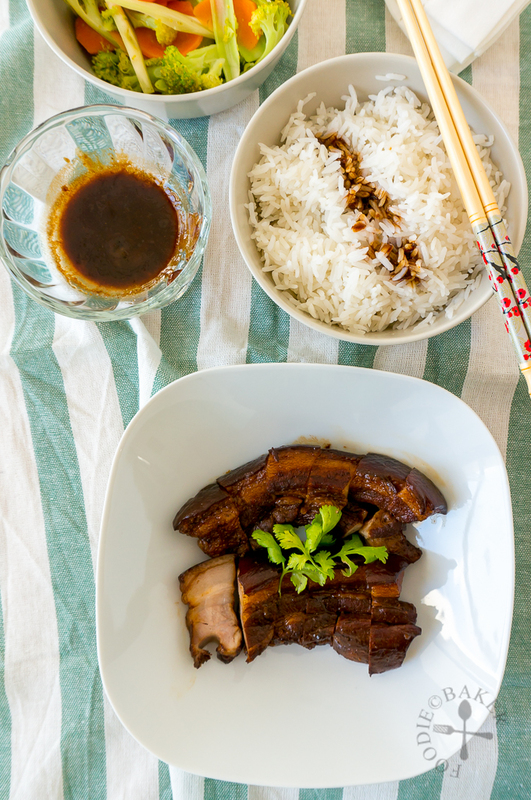 Rinse your pork belly again and cut it into 1.5-inch strips. Pat-dry thoroughly with paper towel and set aside. Patting it dry is to make sure the oil won't spit and spatter later on. 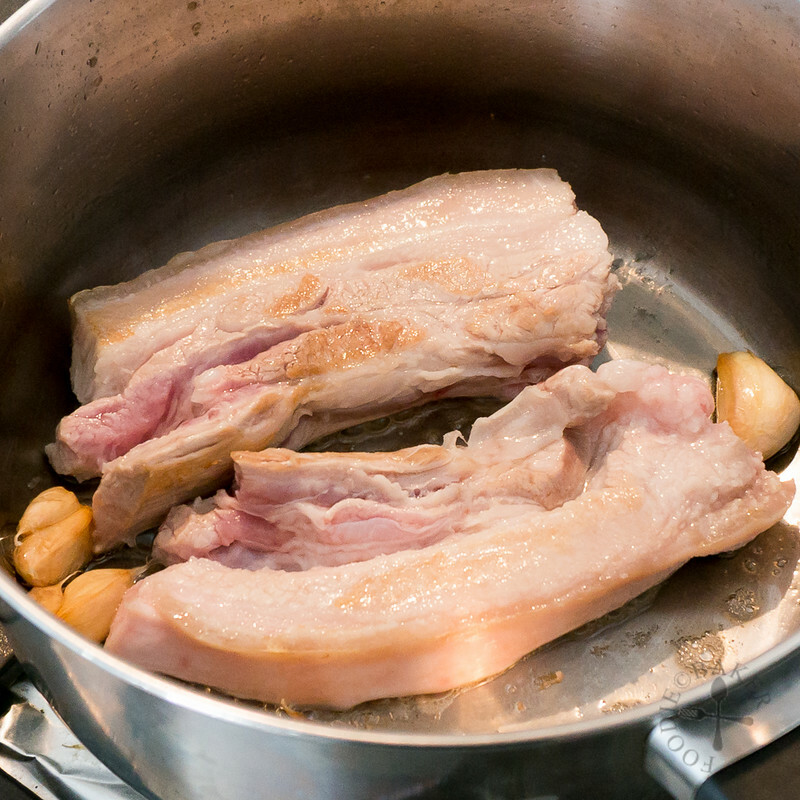 Heat oil over medium heat in a pot large enough to put the pork belly in a single layer. 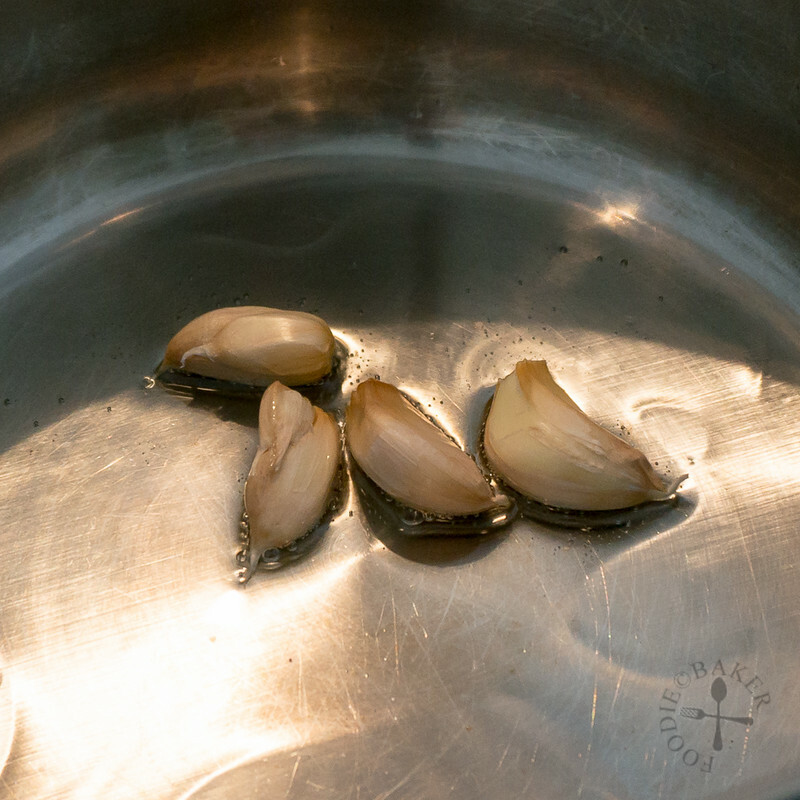 Rinse your garlic, pat-dry then add it into the oil (no need to crush or peel). Cook for 2 to 3 minutes then add in the pork belly strips in a single layer. Turn the heat up to medium-high and sear all sides of the pork belly (including the skin) until lightly golden, about 5 minutes. Add in the dark soy sauce and just enough water to cover the pork belly. Crank up the heat and bring the water to a boil. Reduce the heat and simmer for 2 to 2.5 hours, turning the meat every 30 to 45 minutes to colour it evenly. Top up water if necessary (especially if you are braising it for 2.5 hours). After 2 hours (or 2.5 hours) of simmering, the sauce should have reduced into a slightly thick consistency - turn off the heat and cool slightly before slicing the pork. 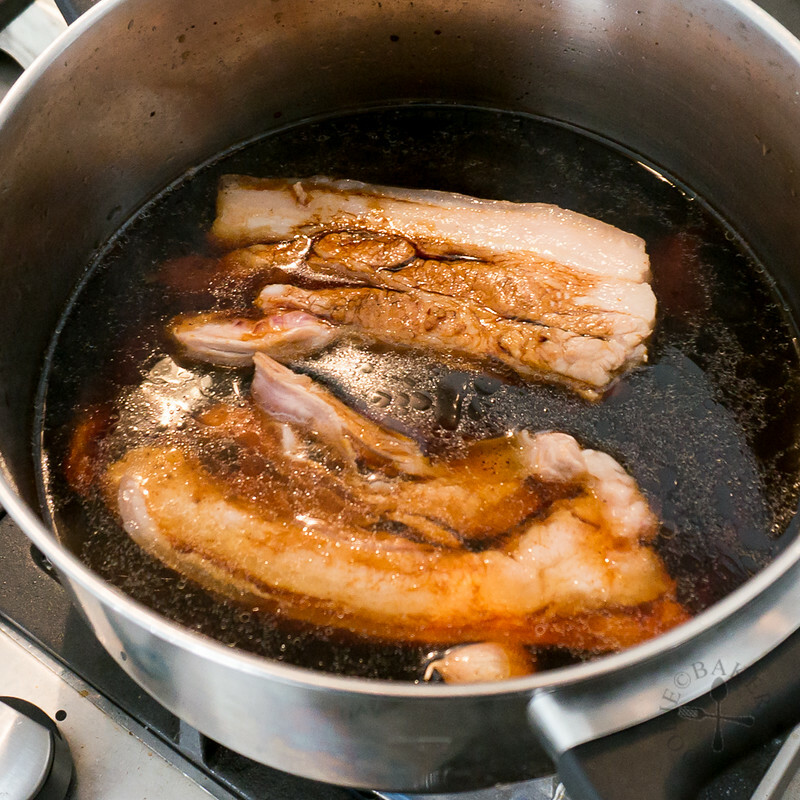 If the sauce is not thick enough, remove the pork belly from the pot, turn up the heat and boil until the sauce has reduced and thickened. 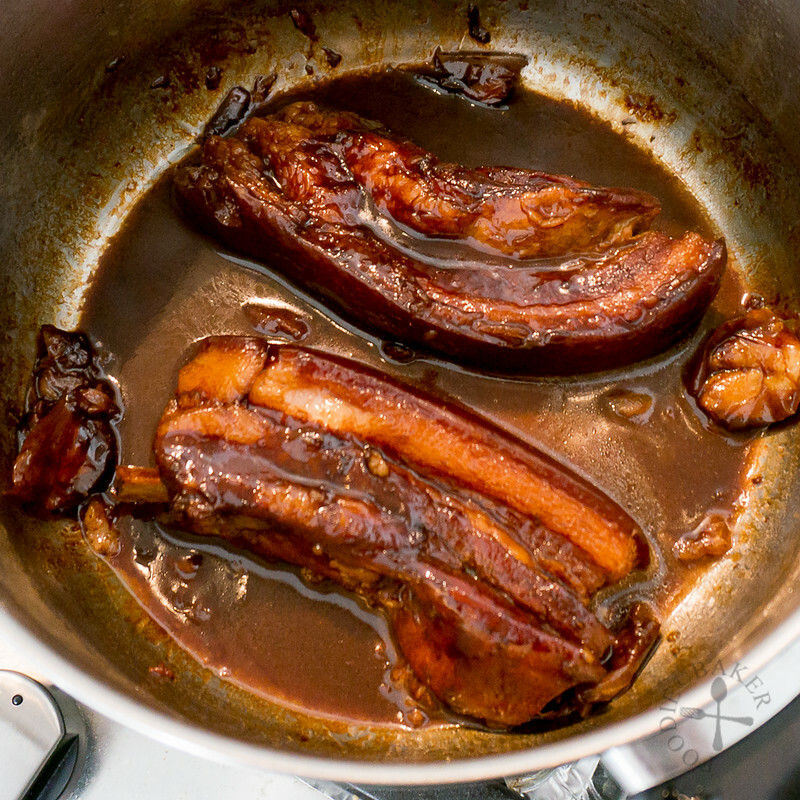 Transfer the sauce into a small bowl and serve it together with the braised pork. - You can add up to 2 tablespoons of soy sauce but drizzle sparingly as the sauce will be more salty. - Cut a slice and taste the meat after 2 hours of braising - if it's not soft enough to your liking, braise it longer. I have a question. If you simmer for 2 hours, the water/soy liquid will eventually evaporate leading to the sauce. However, during those 2 hours, much of it will have evaporated, leaving parts of the pork belly out of the liquid. Doesn’t the meat need to be immersed in the liquid for it to cook and get tender? (I’m assuming this is what the turning is also for? Also, if you do top off with water, won’t it dilute the sauce? Should more soy sauce be added? Thanks, looks great. Hi Alex! Yes the water will eventually evaporate leading to the sauce. 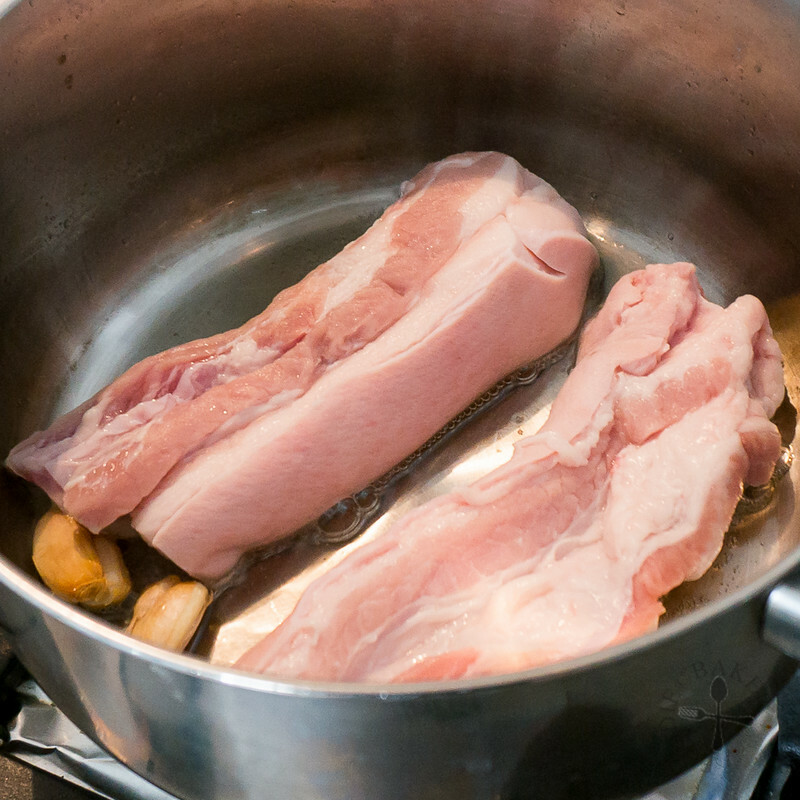 By turning the pork a few times during simmering, it will ensure that all parts of the pork is immersed in the liquid (even though it’s not immersed for the whole 2/2.5 hours), and it will still be tender. As you simmer the pork, sometimes the liquid may evaporate a bit too fast, and you haven’t reach 2 or 2.5 hours of simmering. Hence the need to top up some water to prevent the pot from drying up and burning the pork. 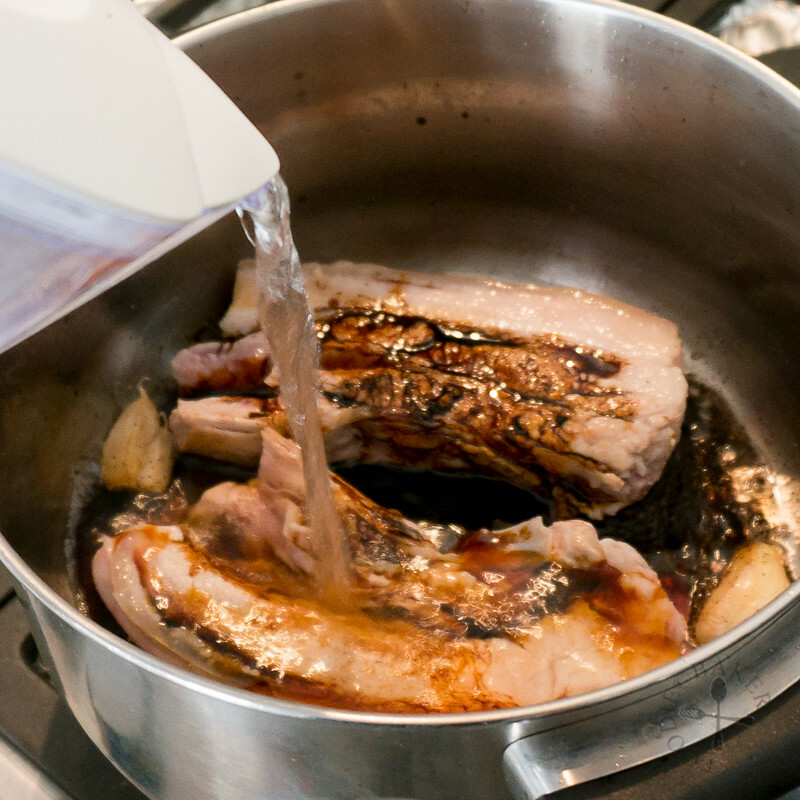 If you top off with water and the resulting sauce is too watery, you can reduce it by boiling it (after removing the pork). There’s no need to add more soy sauce as the sodium did not evaporate during the simmering – it should be salty enough. Please also note that this is not the kind of tau yu bak with a lot of sauce that you can drench the rice in (the kind that has eggs etc). You will only get about 1/4 to 1/2 cup of sauce at the end, which should be plenty to go with rice. Hi this is Alex. A late reply, but Jasline, I tried this and it turned out great. Thanks for the recipe! Hi Chloe, I’m so sorry for your loss and I hope you will be able to find out how your grandma used to make this! Do share with me if you got it, take care! Yummy! Made me hungry. .. oh ! definitely mom’s recipes / signature dishes are so closed to our hearts. I missed my late mom’s cooking and I’ve got her braised pork belly recipe … quite similar to your mom’s except she liked to add five spice powder, some sugar and dried mushroom. Yes because we grow up eating them, sometimes eating another version of the same type of dish just won’t feel right! I’m sure your mom’s version is delicious too! 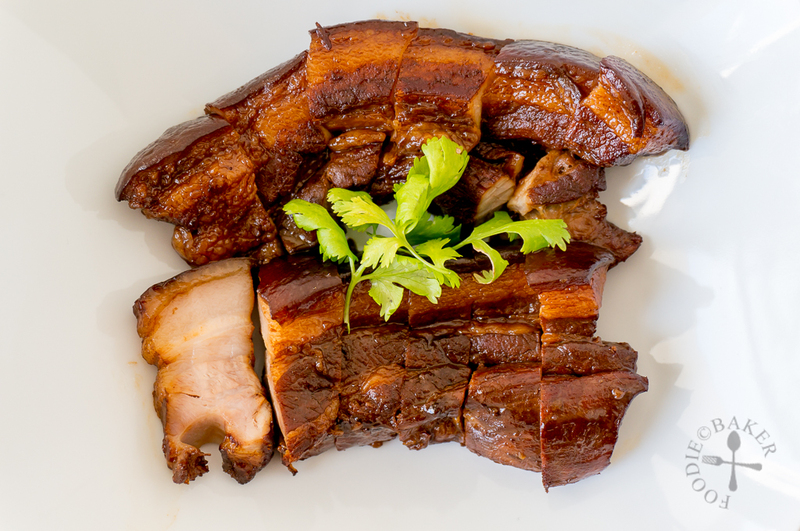 Pork belly has become very popular in the U.S. in the past 10 years or so. I have to say I am a little hesitant thinking of the fat but it is so good 🙂 Thank you for sharing your mom’s recipe! Hi Susan, I’m a believer of everything in moderation and eating things that are worth the calories, and this is definitely worth the calories 😉 Hope you will give this a try! This looks amazing! Definitely comfort food! Thank you Jean, it definitely is! Mouthwatering pork belly! I love the fatty portion too! Hahaha,,,, I love to eat braised pork dishes like this with a condiment of soy sauce and chilli padi….so, not jelak for me! When the fatty part dipped into this condiment…..ooooh…..yum! Hi Joyce! Oooh chilli padi sounds like a great way to cut the jelak-ness! oo that pork belly is to die for! i love mom dishes…they are always wonderful. Totally agree with you Anna, mom’s dishes are the best! My Mom made some cracker dishes, but nothing as fancy as this. We had things like spaghetti, not sure anyone outside my family would be keen on that. LOL! So looking forward to trying this dish. Thanks lady. Love it! Thank you Anna! I’m sure your mom’s dishes are delicious too! I hope your husband will love this! This sounds and look amazing Jasline! I love soy sauce!!! Thank you Gloria! I love cooking with soy sauce too! Goodness, that looks amazing! Mom should be very, very proud! Thank you so much Monica! Oooh I love soy sauce chicken, haven’t got the chance to make it though. I can’t wait to see the recipe on your blog! 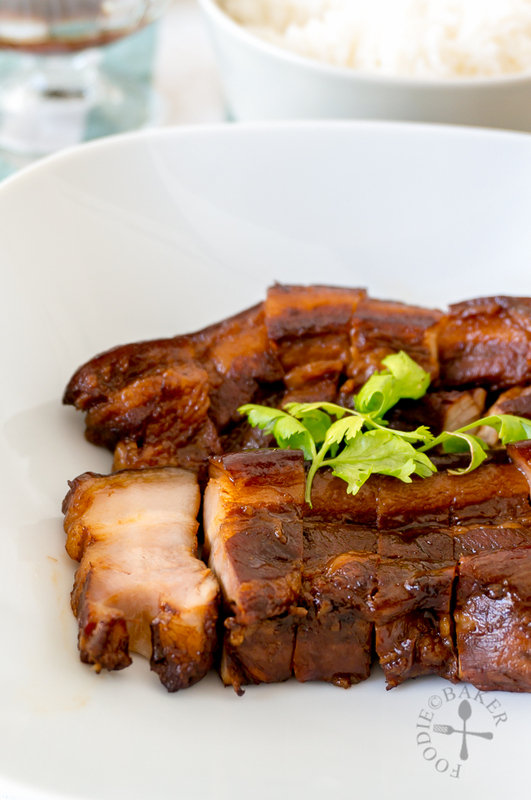 o how I miss my mom’s soya braised pork belly! She usually made it together with tofu or black mushrooms. I must try your mom’s version soon. It looks droolworthy, Jasline. Mom’s Recipes are always the best! Loving that close up shot, so delicious and so simple to make. I need to give your recipe a try soon. Thank you Bobbi, let me know when you make it! I forgot to check the lens model with my husband, I’ll check with him and reply your previous comment!